Are you visiting North Carolina for business or pleasure? Well, there are chances that you might get a drink or two. While there is nothing wrong with that, you need to know there are strict DWI laws that the state upholds. An out-of-state DWI conviction in North Carolina is complex as it involves attending court hearings and other legal issues. In the state, DWI arrests involve alcohol tests and drug abuse treatment programs such as ADETS. If arrested for DWI in North Carolina, it is crucial that you contact a skillful DWI attorney within the state to assist you. When the police arrest you for DWI in North Carolina, the court considers the following factors before issuing a sentence. First, it takes into account the age of the offender. 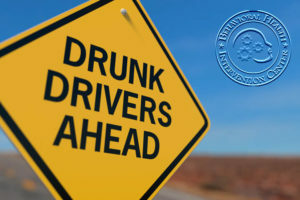 The state has a zero tolerance for drunk drivers under the age of 21. In fact, is illegal to for persons under 21 years to take alcohol. Second, the court considers whether the DWI led to any serious injuries or death. Next it takes into account the number of offenses. Having a prior traffic record affects the court judgement. Finally, the court looks at the license type that you hold. Driving with a revoked license is a serious offense. Both North and South Carolina states have applied consent laws on mandatory breath test during arrest on DWI. 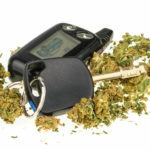 Although South Carolina does not recognize out of state implied consent violations, refusing the test in can result to administrative penalties. The state of South Carolina will suspend your driver’s license and driving privileges but it has no impact on DWI charge. Refusing breath test in North Carolina can lead to fines and penalties. It can also affect the outcome of court decisions. During the out of state arrest for North Carolina DWI, the police have no authority to keep your license, though sometimes they do. If this happens, you need to request for a replacement license. If the state revokes your driving privileges based on DWI charges, you can act fast to challenge the suspension within 10 days. When you are convicted for DWI in another state, be sure that your state will find out and you will face the consequences from both states. Different states have an agreement under the Interstate Driver’s License Compact (IDLC) to share the records of traffic offenses in the states. The compact requires the resident state to suspend the driver’s license over the out of state DWI charge. Therefore, when the court charges you with DWI in North Carolina but are a resident of South Carolina, you will serve penalties in both states for the suspension to be lifted. After you are arrested for DWI in North Carolina, the state requires you to attend court sessions. Being a resident of another state, attending court sessions can be a difficult and time consuming task as it involves lots of traveling. Therefore, it is vital that you hire an experienced North Carolina attorney. The attorney will attend the court hearing on your behalf after signing the waiver of appearance. The court will only need you to attend specific hearings. There are different levels of punishment by a court of law. Therefore, it is important that you start preparing the mitigating factors to be able to get the lowest forms of punishment. The type of DWI you are charged with determines the level of your punishment. The types of DWI are as follows. First, the aggravated DWI. This is when you are under arrest for breaking other rules as well as DWI. For example, an officer may arrest you for over speeding in your DWI case. This may increase your penalties. Second, felony DWI. When you commit a standard offense, the normal penalty is minor. But some in cases, other factors increase the impact of penalties. For instance, where a life or lives are lost, you can already imagine the harsh penalties. Third, the commercial DWI. Commercial drivers have commercial driving license(CDL). The drivers have different standard of drinking and driving since they drive heavy commercial vehicles. The BAC limit is 0.04 and as a result the penalties are more extreme than standard offense. In both North and South Carolina when the court finds you guilty of DWI charges, there are outcomes. The penalties come inform of fines, privilege withdrawal, license suspension, community service, prison sentence, educational programs, and treatment. Your attorney and the state can make arrangements for you to serve the sentence or get treatment in your own state. North Carolina has SCRAM technology which shows abstinence from alcohol. The device is attached on your ankle and the service providers monitor it for a specified period of time. You can also enroll to ADETS for learning programs in North Carolina. If the court allows your transfer to South Carolina with requirement to attend educational programs, you should enroll in South Carolina ADSAP. The class takes up to a period of 8 weeks or more. The classes involve alcohol counseling and tests. The South Carolina ADSAP costs about $500. South Carolina DWI can result in you being a subject to ignition interlock program for one year. In addition, the penalty can require you to carry SR 22 insurance as a proof of financial responsibility for 3 years. If you are a first offender with blood alcohol concentration less than 0.15%, you can receive a provisional license. After finishing the DWI sentence, there may be some issues concerning replacement of driving license. To reinstate your license, you need to complete your suspension period. Also you should serve your prison sentence -if there is one to serve- or complete your community service. It is important to get alcohol tests, finish learning programs, and complete treatment. Finally, you are required to pay $65 restoration fee, $50 for service fee and $130 for license reinstatement. Out of state DWI arrest in North Carolina involves a hectic clearance process. Therefore, when the police arrest you for DWI, you should hire an attorney familiar with the process of the particular state. To avoid more aggravating factors in your case, do not argue or resist during arrest. Also, to avoid complications later when clearing your penalties and reinstating your license, you should have proof that you have completed all the conditions required of you. Be sure to serve all the penalties from North Carolina and the state you come from as well.